Dazed Dorothy are delighted to accept personal commissions. Our bespoke service is available to provide unique and luxurious leather & suede items items which are sentimental and personal to you. Whether you are searching for the perfect bag to match those gorgeous shoes or need a divine belt to set off your special dress. By choosing our bespoke service you can colourmatch your accessory to your outfit, or emulate a style feature, specify size, adornment and extras! Whether this is the case or you have a unique idea of your own which you would like realised then please do get in touch! You may have seen a bag within our collections but would prefer it in another colourway or would like elements from different bags combined. emulate a style feature by use of details such as bows, covered buttons, contrast stitching or complementary motifs. 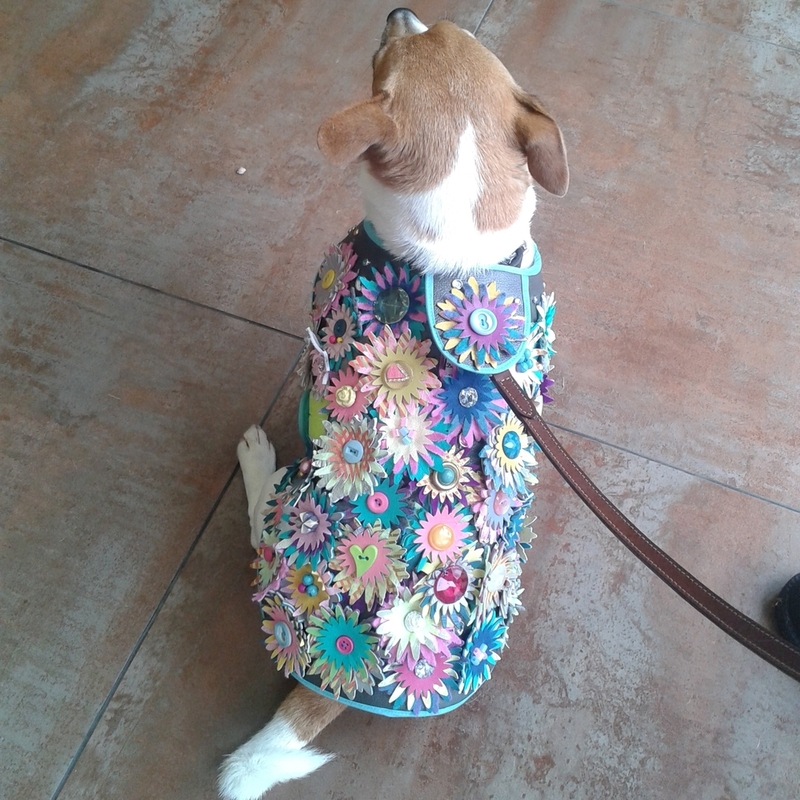 Does your dog need a divine leather coat for attending a special occasion with you? Do you need crazy colourful embellishment or embroidery on a leather skirt to make you stand out at an event?